of July. This year, Raleigh-Clement’s cyclocross’er Jamey Driscoll claimed victory in the first photo finish the 14-year-old event has ever seen. After two 25-mile laps, 4,000 feet of climbing (per lap) and a starting elevation of 9,600 feet, Driscoll crossed the finish line in only 3hrs 33min (that’s almost four ‘cross races). 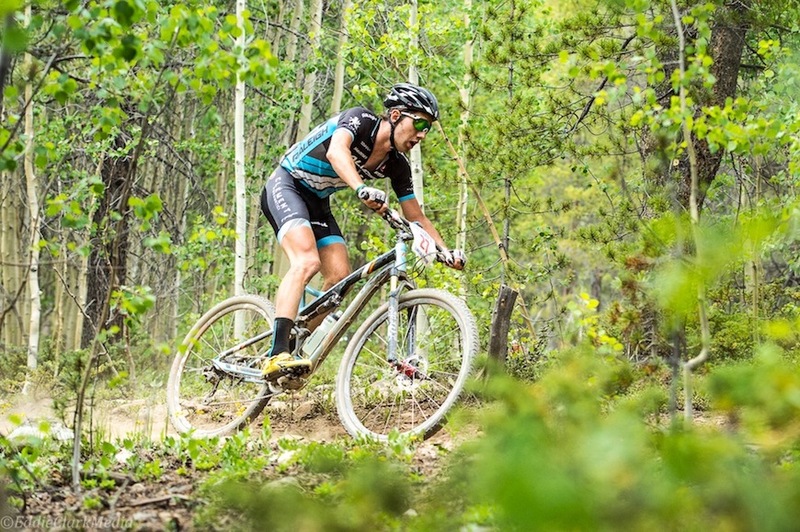 We talked with Driscoll shortly after his win to hear about the race, the prototype Skarn, and what’s behind his training for endurance mountain bike racing. “That last descent was insane,” says Driscoll when asked about the sprint finish. “There were two of us having to get around lapped riders!” Jamey kept the advantage down the final switchbacks in view of the finish ahead of Chris Baddick. Rounding the left-hand corner there was only one thing left to do - sprint. With a lunge of the bike over the line, Jamey took the win by a wheel’s length – not your standard end to a 3+ hour mountain bike race. 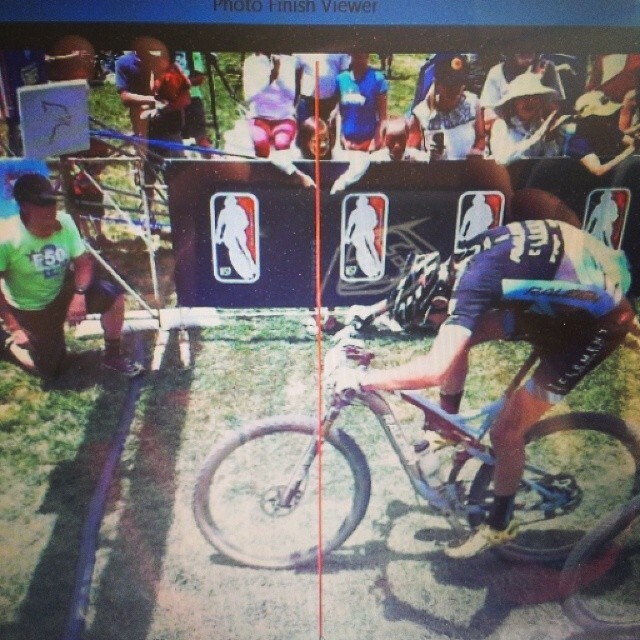 Chief of Timing, Chris Cawley, captures the photo finish win. 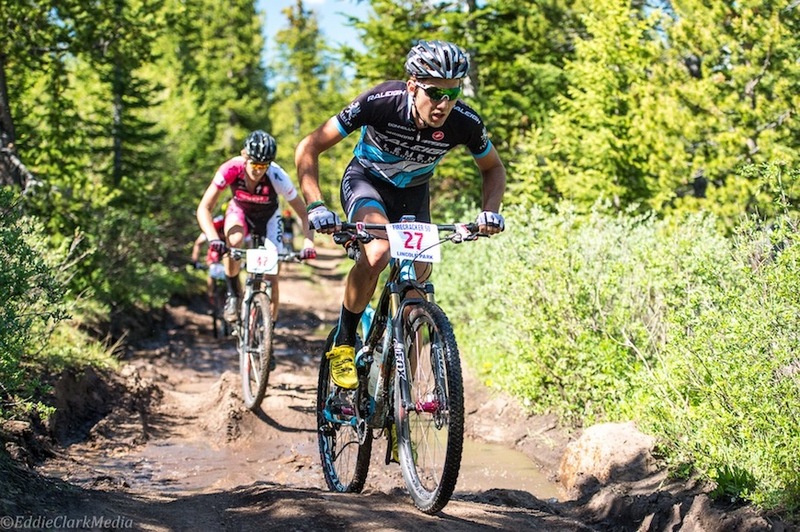 Driscoll is one of the country’s quickest ‘crossers, but who would have thought winning rides at events like the Firecracker 50 or the Wasatch 50 this year were the result of such an unstructured approach?